Here is yet another beautiful friendship picture portraying the unity of friends, importance of friendship in life. This picture says that "Life is Nothing Without Friendship" which is true to the core of life. 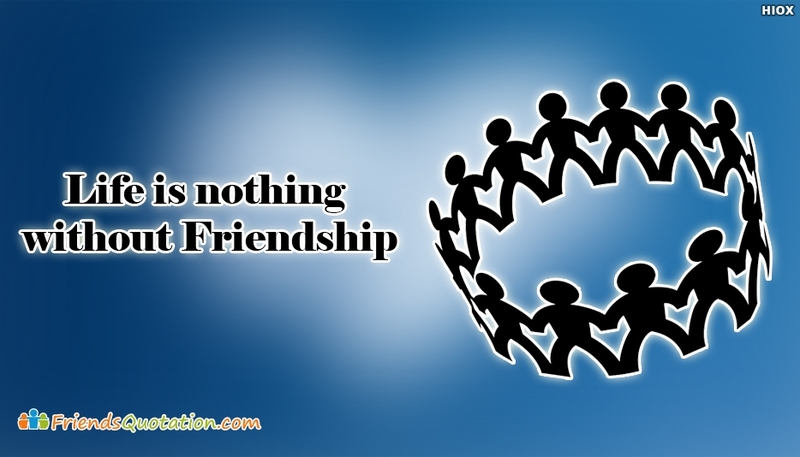 This friendship message is supported with a beautiful blue background and a cute friendship picture.